Friday night's estimated attendance: 500 people. Dream won with the Purple Rainmaker elbow drop. The South of Heaven chokeslam got the win for Martinez. Dijakovic finished this with Feast Your Eyes. Sane and Shirai submitted Borne and Aliyah with double submissions in the first fall. In the second fall, Baszler choked out Li. Sane and Shirai hit a double team-assisted elbow drop and moonsault on Shafir to win. - Mansoor Al-Shehail was cutting an in-ring promo about his dreams of being in WWE when he was interrupted by Adam Cole, who granted his own wish of having a match right now. Cole hit the Last Shot to the back of the head to win. 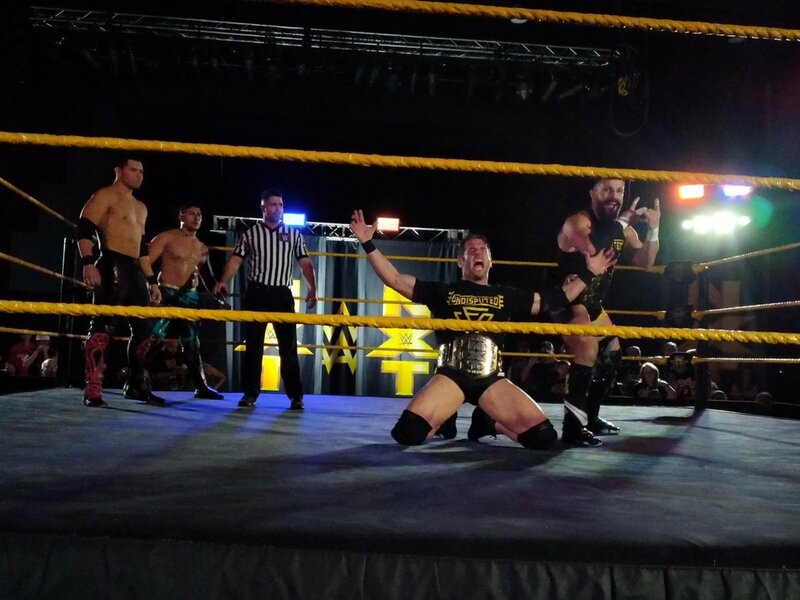 Cole made it clear that he hates Tampa, with him not even doing the "Bay Bay" for the crowd. The crowd loved this match. It got “this is awesome” chants, and everyone played off of each other. Ricochet hit a great running Shooting Star Press. Catanzaro hit a few incredible moves, including a spinning stunner and a twisting splash. Great stuff. Rama got a roll-up victory over Moss. Excellent match. There were stereo dives to the outside by Carrillo and Mendoza, but Strong and Fish were just too much for them. Fish won with a knee strike. The crowd loved both teams and this match.